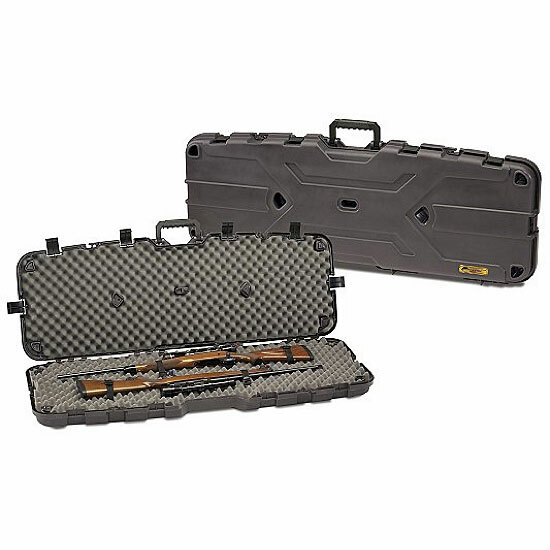 The double gun case has patented pillarlock system to protect firearms. Holds two scoped rifles with large objectives lenses. Six heavy duty latches. Overmolded flexible handle. Is lockable and airline approved. Poly tiedown straps hold firearms in place.